One highlight is the FREE Thursday showing of the movie Benny and Joon, made possible by South Peninsula Behavioral Health Services. Another highlight is a delicious way to support Hospice of Homer—the spaghetti feed at the Elks Lodge next Saturday (the 27th)—kids under 8 eat free! Finally, here’s a heads up: TRAILS next bonfire is MONDAY, January 29, when we’ll celebrate the Blue Moon. More about that in next week’s calendar. Check out the many activities highlighted in this week's calendar: weekly events January 13-20.pdf. Remember, this Monday, Jan 15—the 3rd Monday in January—is Martin Luther King Jr. Day to celebrate and honor the civil rights leader’s contributions and legacy. This year, MLK day actually falls on King’s birthday. Don’t miss this week’s chance to join Anette Avant’s FREE Feldenkrais lessons at 1231 Ocean Drive (235-0687). Learn Awareness through Movement for a happier, healthier, more aligned body. Free sessions are: Mon. Jan. 15 at 6:30 pm; Tues. Jan. 16 at 12:00 pm; Wed. Jan. 17 at 4:00 pm; Thurs. Jan. 18 at 2:00 pm. Wear loose, comfy clothes. 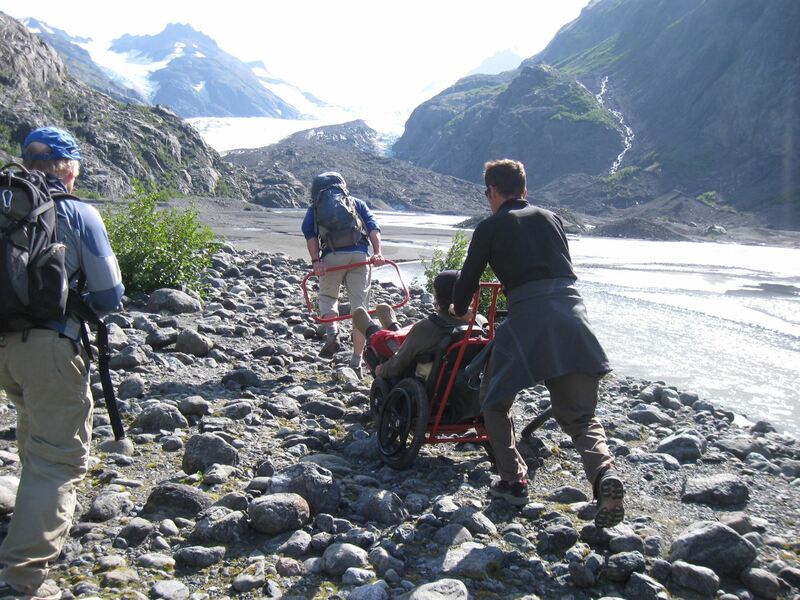 If you're signed up for the TRAILS Challenge Alaska trip to Alyeska on January 19-21, be sure to attend the pre-trip meeting at ILC on Wednesday, January 17 at 1 pm. Crafts at Captains will become a regular TRAILS thing--a very informal time to drop by, say hi, and try out a new skill. Here's a pic from last Friday--when Barbara Smallwood inspired us to make Dreamcatchers. HAPPY NEW YEAR from TRAILS! We’ll try to make this a special year by continuing to offer activities that help EveryBODY enjoy healthy happiness and happy health! We love input, and if you'd like to lead an activity, we're here to help that happen! For example, join TRAILS on Friday (January 5) for our first “Crafts at Captain’s,” where Barbara Smallwood will help us learn how to make dreamcatchers! TRAILS will supply the basic materials, but bring feathers, beads, shells, yarns, or other special items to decorate your dreamcatcher. This week's calendar still has lots of fun things happening--you can check it out by clicking here: weekly events December 23-30.pdf. And be sure to join TRAILS for a WILD THINGS celebration on Wednesday, December 27th. First we'll make edible decorations like those in the photos at left, which are nutritious for local wildlife and can provide a little winter boost for our birds and mammals. Then we’ll decorate Eaglefell Park (next to Devony’s) with our wildlife decorations. And finally we’ll gather around a campfire to roast marshmallows and enjoy the woods. Meet at the ILC parking lot at 1 pm to carpool. Call Devony at the ILC, 235-7911, for more information. Or leave a voice message or text at 299-3244. And if you’re curious about the annual Audubon Christmas Bird Count, that event is happening tomorrow (Saturday, December 16). If you want to see what the bird count is all about, meet up at Islands and Ocean at 8:30 am tomorrow, and you'll join a group that will be looking and listening for birds at designated locations. At 4:30, all groups will get back together at I&O to share results and hot soup. It’s quite an adventure! Phew! I'm worn out just CONSIDERING all the things happening this week! So have fun! And be happy that days will soon be getting longer! YAY!! Join TRAILS for a 2-part WILD THINGS Holiday Celebration. First, next Saturday, December 9, join TRAILS at the Trim a Tree for Wildlife event at Islands and Ocean at 1 pm. Second, weather permitting, on Dec 27, we’ll put up our wildlife ornaments in Eaglefell Woods (by Devo’s house) for wild critters to enjoy, and then we’ll warm up by a campfire and roast marshmallows. This is Nutcracker Week! The Nutcracker Faire—with over 90 booths—takes place this Saturday (11 am to 7:30 pm) and Sunday (noon to 6 pm). The Nutcracker Ballet shows this weekend on Saturday, Dec 2, at 3 pm and 7:30 pm and Sunday, Dec 3, at 3 pm. Next weekend, it shows Friday, Dec 8, at 7:30 pm and Saturday, Dec 9, at 3 pm. For Nutcracker Ballet ticket information, call Homer Bookstore at 235-7496 or http://homernutcracker.com/content/get-involved. In fact, we'd love to have you join TRAILS for a 2-part WILD THINGS Holiday Celebration. Happy Day-After-Thanksgiving to you All! What a wonderful gathering we had at Islands and Ocean on Wednesday afternoon. Over 60 "framily" members (friends+family) came together for the TRAILS and JOURNEYS Thanksgiving celebration. And over a dozen hardy souls made it down to Bishop's Beach to enjoy the beautiful afternoon with pie around a fire. Thank you all for bringing your wonderful energy to share with EVERYONE! And Thank you Islands and Ocean for all your generosity! Now, look at how busy you can be this coming week, culminating with the Nutcracker Fair next weekend! weekly events November 25-December 2.pdf And don't forget that Yvonne and Russ could really use some community love and support--their fundraiser is tomorrow evening (Saturday, Nov 25th) at Alice's.